When you brake hard on slippery surfaces in a vehicle without ABS, your wheels may lock up. When your steering wheels lock up, you lose steering control. When your other wheels lock up, you may skid or even spin the vehicle. ABS helps you avoid wheel lock up and maintain control. You may or may not be able to stop faster with ABS, but you should be able to steer around an obstacle while braking and avoid skids caused by over braking. Use only the braking force necessary to stop safely and stay in control. Brake the same way, regardless of whether you have ABS on the bus. However, in emergency braking, do not pump the brakes on a bus with ABS. As you slow down, monitor your bus and back off the brakes (if it is safe to do so) to stay in control. ABS malfunction lamps will be what color? Vehicles with ABS have yellow malfunction lamps to tell you if something is not working. The yellow ABS malfunction lamp is on the bus�s instrument panel. Without ABS, you still have normal brake functions. Drive and brake as you always have. As a system check on newer vehicles, the malfunction lamp comes on at start-up for a bulb check and then goes out quickly. On older systems, the lamp could stay on until you are driving over 5 mph. If the lamp stays on after the bulb check or goes on once you are under way, you may have lost ABS control at one or more wheels. Remember, if your ABS malfunctions, you still have regular brakes. Drive normally, but get the system serviced soon. ABS will not allow you to drive faster, follow more closely or drive less carefully. 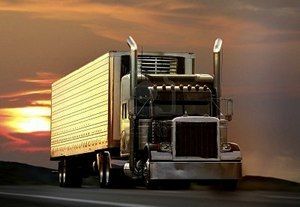 ABS won�t prevent power or turning skids � ABS should prevent brake-induced skids but not those caused by spinning the drive wheels or going too fast in a turn. ABS won�t necessarily shorten stopping distance. ABS will help maintain vehicle control but not always shorten stopping distance. ABS won�t increase or decrease ultimate stopping power � ABS is an �add-on� to your normal brakes, not a re placement for them. ABS won�t change the way you normally brake. Under normal brake conditions, your vehicle will stop as it always stopped. ABS only comes into play when a wheel would normally have locked up because of over braking. ABS won�t compensate for bad brakes or poor brake maintenance. Remember: The best vehicle safety feature is still a safe driver. Remember: Drive so you never need to use your ABS. Remember: If you need it, ABS could help to prevent a serious crash. Strong winds affect the handling of the school bus. The side of a school bus acts like a sail on a sailboat. Strong winds can push the school bus sideways. They can even move the school bus off the road or, in extreme conditions, tip it over. Keep a strong grip on the steering wheel. Try to anticipate gusts. You should slow down to lessen the effect of the wind or pull off the roadway and wait. Contact your dispatcher to get more information on how to proceed. When is it acceptable to back up a school bus? Backing a school bus is strongly discouraged. You should back your bus only when you have no other safe way to move the vehicle. Post a lookout. The purpose of the lookout is to warn you about obstacles, approaching persons and other vehicles. The lookout should not give directions on how to back the bus. Signal for quiet on the bus. Constantly check all mirrors and rear windows. � Set the parking brake. � Turn off the motor and take the keys with you. � Walk to the rear of the bus to determine whether the way is clear. If you must back up at a student pickup point, be sure to pick up students before backing and watch for late comers at all times. Be sure that all students are in the bus before backing. If you must back up at a student drop-off point, be sure to unload students after backing. To obtain the endorsement to drive a yellow school bus designed to transport 16 or more people for students 12th grade and under for school-related activities drivers must first pass the general (core) knowledge exam and the passenger endorsement tests based on Sections 2 and 4 of this manual. If the bus has air brakes, also must pass the air brake exam based on Section 5.